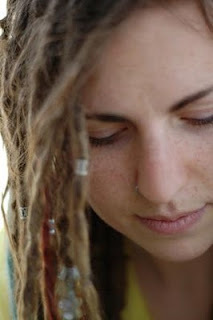 Johanna Chase is an alt-folk rock artist originally from the Seattle, WA area, but her studio resides in sunny Azuza, CA. Johanna is like the female version of the Dave Matthews Band, but she delivers her own unique quality that has a sound that crosses hints of southern blues and bluegrass, but she is far more complicated than a simple genre tag or any band comparison. Since the 5th grade after Johanna picked up the guitar for the first time, her desire transformed from merely playing the typical musical class instrument into discovering the tool that became her passion. While in junior high, Johanna involved herself with several bands including a few church bands, so she always found a way to perform. Eventually, it led her first recorded single with the band, No Bigshot. This was a big step in Johanna’s music career, but she had ambitions to pursue a solo career as well. After many opportunities with her pervious bands, Johanna finally moved to Los Angeles to expand her education and pursue more opportunities as an artist. In 2004, Johanna crossed a major milestone and released her first EP, “Not Nearly Enough”. In 2006, she release two more EP’s, “Less Talk, More Rock” and “A Pretty Kind of [off] White”, but it wasn’t until 2008 when Johanna met the band, The Denounement that she grew as a distinguished artist. 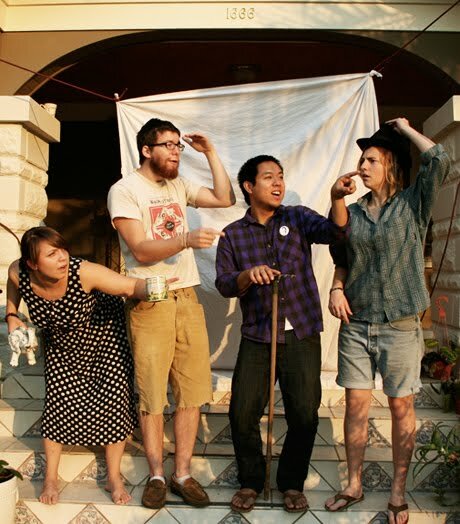 Together, they put Johanna’s vocal and acoustic talent and combined folk with southern funk and bluegrass to create her next EP entitled, “Azuza”. The release of "Azuza" was the turning point for Johanna's career with multiple city tours, recognition with a theme song place in an independent movie with the song “Yet to Come”, plus touring with several artists along the way to help catapult her career. On August 20, Johanna is officially releasing her brand new full length CD, “Translator” at the Day Dream Republic Studio in Los Angeles. "Translator" is chalk full of modern funk, rock, and soul. In this album, Johanna added her backup band which includes Robert DeLong, Matt Knapil, and Matthew Lee. Together with Johanna’s immense acoustic guitar talent and her incredible vocal strength, they give each other that unique sound that Johanna Chase needed to take her to the next level. "Translator" does not only have a spontaneity qaulity, the entire album is pure enjoyment, blending an unruffled charm of the saxophone played by Matt Knapil in songs like “Joyful and Brave” and “Just Wait” that gives her music a grassy rooted sound that is traditional southern funk, but with a modern alternative rock kick. After listening to “Translator” and by comparing to Johanna’s previous music from her other EP’s including “Joyful and Brave”, “Azuza”, and “A Pretty Kind of [off] White”, it is hard to decide her best work. As for the composition, the arrangement, and production value, musically, “Translator” is the best so far, but looking at her music from an artist view point, each one of Johanna’s songs are full of artistic beauty and serenity. "Translator the album 'sonically' sounds the best," said Chase. "We were able to capture what we sound like live more than any other project thus far." Like the title song, "Translator" each song by Johanna is a miniature story of her life with a reflection of inner working thoughts that dig deep in her psyche. Then, each song is delivered with the strength of multiple vocal registers and individually custom packaged with either a full band or engaged with a single acoustic guitar. No matter how each song is delivered, listening to Johanna is an undoubted treat. Recommended songs Johanna Chase not to pass up: "Joyful and Brave", "Just Wait", "Translator", "I Don't Get You Either", "Get Up Good", and "Institution of You". Come see Johanna Chase perform live at "The Great Unknowns Indie Showcase" on Sept 30.